We, of NextGENOA are working towards creating a strong & active network of youth from Asia & Oceania who are committed to taking care for the Earth in their local areas throughout the Asia & Oceania region. 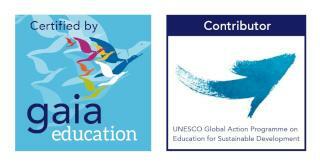 For this purpose we are organizing a one month Ecovillage Design Course (EDE) that is certified by Gaia Education & is an official contributor to the Unesco's Global Action Programme on Education for Sustainable Development. This NextGENOA EDE will be followed with NextGENOA strategy and Networking meeting where all the participants will discuss and brainstorm on how we can create bigger impact and inspire more young people to be part of the sustainability movement. This NextGENOA EDE and Networking meeting will be held at Gaia Ashram in Thailand which is sustainable living Education Center. To fund this program we need your help, as many of the participants will not have sufficient funds to cover the costs of this course and the NextGENOA Network is run on voluntary basis. The money we will raise will go to cover the cost of food, accommodation, local travel of about ± 25 participants & also to pay for the facilitators & co-facilitators of the course. Every contribution will help to make this event happen. And if this campaign raise more fund than we actually need for the program the rest of the fund will be used to run the NextGENOA networking activities. NextGENOA is a growing network of young people of the Ecovillage and Sustainability movement within the Oceania and Asia region. These groups of young people have been active in their local areas, among their friends, family and other young people, to raise awareness about environmental issues & to come up with eco-solutions. These young people aim to inspire others to become part of growing tribe of people who are committed and actively engaged in the healing process of the earth and creating a sustainable future. The Ecovillage Design Education (EDE – Gaia Education) is an educational program that has been developed by Gaia Education (more info go to https://www.gaiaeducation.org/index.php/en/ ) that has proven to be very effective in providing the knowledge and pathways of a holistic way of living towards a sustainable future. 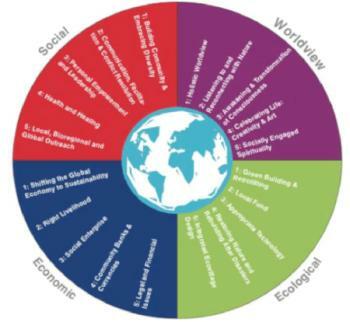 Ecovillage Design Education (EDE) programs create transformation in people at all levels & these EDE’s have been successfully held throughout the world. The NextGENOA EDE will be an holistic educational program that will bring NextGENOA young leaders from the Oceania and Asia region together at Gaia Ashram, Thailand to meet and share with each other at the mental, heart, practical and spirit level. This NextGENOA EDE will build capacity, skills & a deep understanding of Ecovillage Design Education process. This NextGENOA EDE will help in laying a foundation for the creation of a strong NextGENOA network. NextGENOA aims to be a network where young changemakers can meet & share, learn & support each other over borders. We aim to be a Platform that help to enable more young people within the Asia & Oceania region to become part of the sustainability movement. During the NextGENOA Networking Conference we will look at what are the importance of Networking. We will brainstorm and learn from guest speakers who have long time experience in Networking & Activism. We will lean how to build a network together and how can a network inspire more young people to be part of sustainability movement. We will learn some tools for conducting awareness raising program that will help motivate young people to get involved in creating a more sustainable future. NextGENOA is strengthened, with a diverse group of empowered and committed young leaders from various countries within the Oceania and Asia region. NextGENOA becomes an inspiring movement that provides a guideline and a platform for young people within the region to become active in creating a sustainable future together. Participants gain a deep knowledge & understanding of Ecovillage Design Education. Participants are more empowered and become more confident to practice, live and promote sustainable living for a sustainable future in their local areas. Participants are deeply connected with each other & inspired by the Ecovillage values and vision. NextGENOA network is strengthened with clarity of vision, mission , organisational structures and strategic planing. We aim to bring together between 20 to 25 NextGENOA’s participants selected from the active GENOA & NextGENOA countries.The participants are between 20-33 years old & are already active in sustainable living practices at any level (local/regional or global). Participants are deeply interested, motivated and able to commit to become part of NextGENOA team to create a strong network and movement of the young within the region & local areas. 1) Each participant has to raise funds for themselves. The amount to be raised per participants is 550 USD per person to attend the 4 weeks EDE & 5 days meeting. total is 13,750 USD for 25 participants. 2) The rest of the amount (8,487 USD) will be raised by NextGENOA through different sources. We are expected to be funded by Gaia Trust for 2,400 USD. And the rest of the amount, 6,087 USD through this crowdfunding campaign.